This was a pretty awesome week for me if I do say so myself; I bought 2 books I`ve been pretty much climbing the walls to get my hands on :D I also managed to get my first 2 Netgalley book approvals - yay! -so you could definitely say I'm pretty excited all around! I've been wanting to read Grave Mercy since I first heard about it. I haven't read any historical fiction in a little bit, but come on: assassin nuns! Assassin nuns trained by Death himself! Yeah. How could this not be compelling? I also think the cover is beyond spectacular, it looks pretty and lethal at the same time. 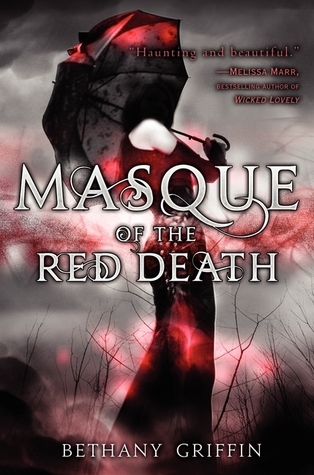 Masque of the Red Death has been on my reading list for awhile but it was after I started blogging and reading other bloggers reviews that it moved WAY up my 'to-buy next' list. 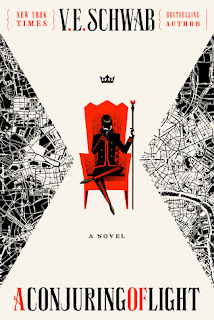 I've heard the author mixes steampunk & dystopian elements (both of which I'm a fan of) But wait, it gets better: it's a retelling of the classic Edgar Allen Poe (♥!) story of the same name. Oh I am so in. I hope I can start it before or on Halloween! Ever since I first set eyes on Seraphina I've wanted to get my greedy little hands on it. It has dragons & I adore dragons (I even have a dragon tattoo)! But it's not just that, Seraphina is a ya fantasy that's been getting great reviews & the premise is full of potential to me. I also simply adore the cover, it has a Gothic, classic feel. 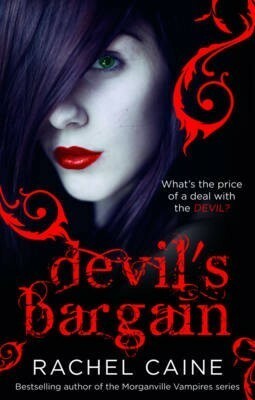 Devil's Bargain is another book I discovered through fellow book-bloggers. It's an adult urban fantasy featuring mystery, a secret society, magic & psychic powers. Definitely something I'd be into! I also really like the main protagonist's name: Jazz, I have a gorgeous tabby cat named Jazz :) The cover on this one is also really pretty I think. That's my haul this week guys! What goodies did YOU manage to get? Link me up bellow & don't forget to let me know if you're a new Lunar Rainbows follower so I can return the favor. I really want masque of the red death! Grave Mercy and Masque of the Red Death were both really good!! I keep wanting to get Seraphina, but don't have the time to read it right now. Devils Bargain sounds awesome! I hadn't heard of it until now. Awesome haul this week!! Thanks Frodo, hope you get to read MotRD soon :) Thanks for dropping by! 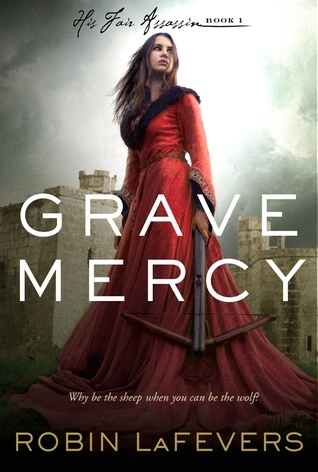 I like the sounds of all of those, really want to read Grave Mercy. Happy reading. Thanks Luna,I hope you get to read Grave Mercy soon :D Thanks for visiting! i really want to read Grave Mercy and Masque of the Red Death! I've read Seraphina, it was okay but I was a little disappointed. Hi Elizabeth, I hope you get to read GM & MotRD soon and I'm sorry Seraphina left you a bit disappointed...Thanks for visiting! Masque of the Red Death is brilliant ! Happy Reading! Nice haul of books. I didn't like Grave Mercy, but others did so who knows. Come check out my STS this week. Thanks Grace & I'm sorry you didn't enjoy Grave Mercy. Thanks for dropping by. I quite liked Grave Mercy! I thought it dragged a little, but whatever, I'll be reading the sequel because female assassins are AWESOME. Great picks! I can't wait to read Masque of the Red Death and Grave Mercy. They're on my pile but I haven't read them yet. 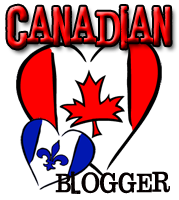 Thanks Readergirl :D I hope you get to read both of those soon as well! Thanks for dropping by. Grave Mercy is one of my favorites of the year. And, I also loved Masque. Hope you enjoy all your books. Thanks for stopping by! Oh I'm really jealous I heard so many great things about each of these books and I would love to read them as well. Happy reading! I hope you get to read them all soon Melliane :) Thanks for stopping by! hahah thanks Beczy ♥ I really hope you get to read those 3 VERY soon :) Thanks for visiting too! Loved Masque of the Red Death! 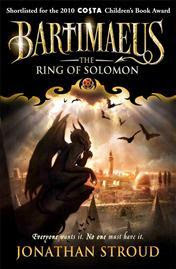 I have Devils Bargain to read soon and I am excited! Awesome book week! Yay glad to hear it for MotRD! Hope you get to read Devils Bargain soon so we can compare notes :) Thanks for visiting!! I've heard a lot about Grave Mercy. Hope that you love it. Grave Mercy was such a smart buy. Its absolutely amazing! The size is a little intimidating at first, but the story is incredible. One of my favorites! Thanks :D I'm dying to get into Seraphina, it sounds right up my alley and you're right almost all the feedback I've gotten is absolutely glowing! Thanks for visiting!! Grave Mercy and Masque were both really enjoyable! 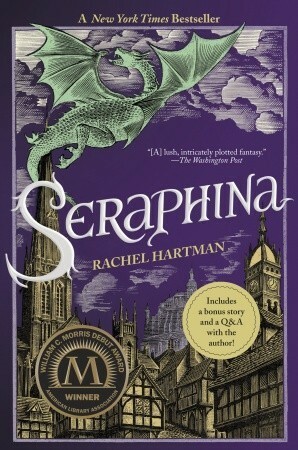 I've heard wonderful things about Seraphina and I bought a copy a while back but have not read it yet. But I can't wait to! WTG on your first Netgalley books! Be careful though! It is easy to over request. O_o Speaking from experience. LOL. Thanks for the awesome feedback...especially the bit about over requesting LOL...I can see that being a problem ;) Thanks for stopping by as well Kara! Thanks for stopping by...of to check out your haul! I still need to read Grave Mercy! Just look at that cover, I forgot how cool it was. I wasn't a huge fan of the characters in Masque but the world building is amazing. Hope you enjoy all the new goodies! 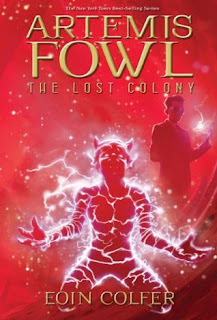 Isn't the cover just overflowing with WIN?! I keep taking it out of my bookshelf just to look at it :) And a LOT of people have mentioned the world building in Masque, I can't wait to experience it for myself! Thanks for visiting Jenni! Nice haul! I really wanna read Seraphina & Grave Mercy. And Masque of the Red Death was amazing. Thanks Addie,I hope you get to read both soon and I'm glad you loved Masque :D Thanks for dropping by! Hooray for Masque of the Red Death! I really hope you enjoy it, Micheline! I bought Grave Mercy not long after it was released, and I still haven't gotten around to reading it. I just love the idea of assassin nuns, too. Happy reading, and thanks for stopping by!